Then he went surfing and then to work at Earth Technologies in Torrance, where he builds environmentally friendly surfboards. While working, he chanced upon an Instagram video posted by big wave surf legend Laird Hamilton. 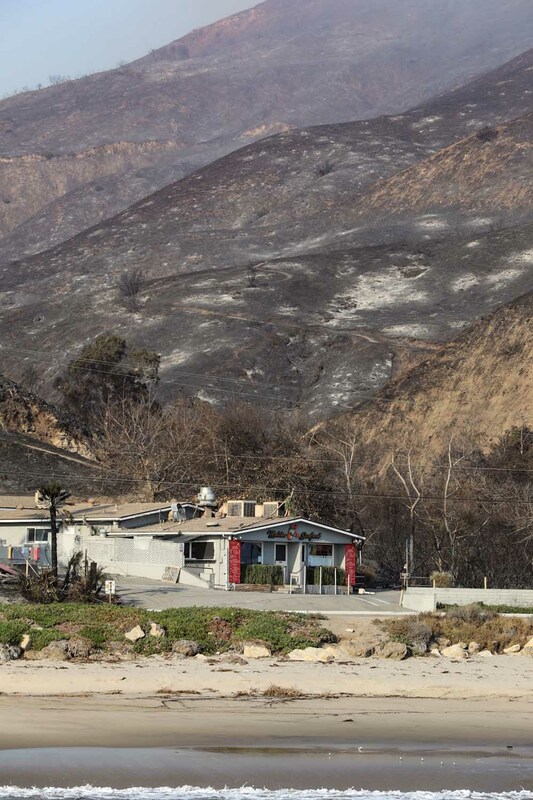 The post showed Hamilton’s Point Dume house surrounded by fire. Hamilton and a friend had ignored orders to evacuate, and saved his and a neighbor’s home with water from his pool. “I didn’t realize until then how serious the fire was. I messaged him asking what people needed and said I’d drive a truck up that evening,” Harris said. Hamilton responded with a wishlist of basic human needs plus pet and horse food. 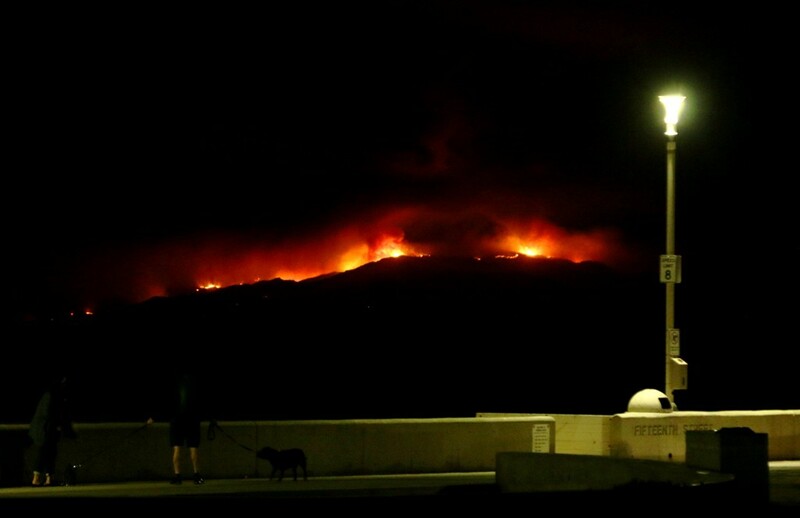 But he cautioned Harris that Pacific Coast Highway and other roads into the Point Dume-Malibu area were closed. “I don’t know Laird personally, but I have a lot of surf friends up there, including longboarder Jimmy Gamboa, who founded THERASurf, which introduces developmentally disabled kids to surfing. “After I realized I couldn’t get in by road, I figured I know a lot of watermen. We’ll boat in,” Harris said. Sunday morning at 7 a.m. he and half a dozen friends gathered in King Harbor, intent on loading goods they had gathered onto several small boats belonging to Harris’s friends. While the boats were getting gas, the boat owners checked the marine forecast and didn’t like the orange blobs they saw, indicating 30 mile per hour winds. They told Harris they didn’t think their boats could cross the bay safely. Harris called Matt Meistrell, a licensed boat captain whom he had built boards for. 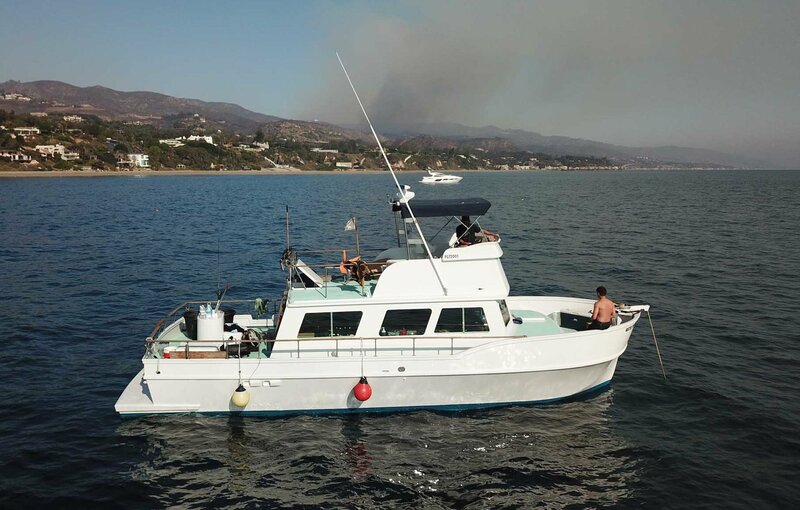 Meistrell owns “Que Paso,” a 40-foot charter fishing boat that had belonged to his grandfather Bob Meistrell, co-founder with twin brother Bill, of Dive N’ Surf and Body Glove. “Thirty minutes later we were loading up Matt’s boat. Bad weather wasn’t going to deter him. That’s the kind of heart he has,” Harris said. “The weather reports were wrong. We had beautiful weather on the water,” Meistrell said of the 25 mile trip up the coast to Paradise Cove, on the south shore of Point Dume. They anchored next to the pier, in front of the Paradise Cove Beach Cafe. The cafe and pier were undamaged. But as far as they could see in either direction were burned out homes and scorched earth. Helicopters and fixed wing aircraft were dropping retardant. Unloading went smoothly, thanks to Brian Toal, a member of the crew, having brought along an SUPSquatch. The 6.5-foot wide, 16-foot long inflatable stand-up paddleboards are used primarily for stunts, such as setting Guinness records for most people on a stand-up, or for suicide surfing on big waves. 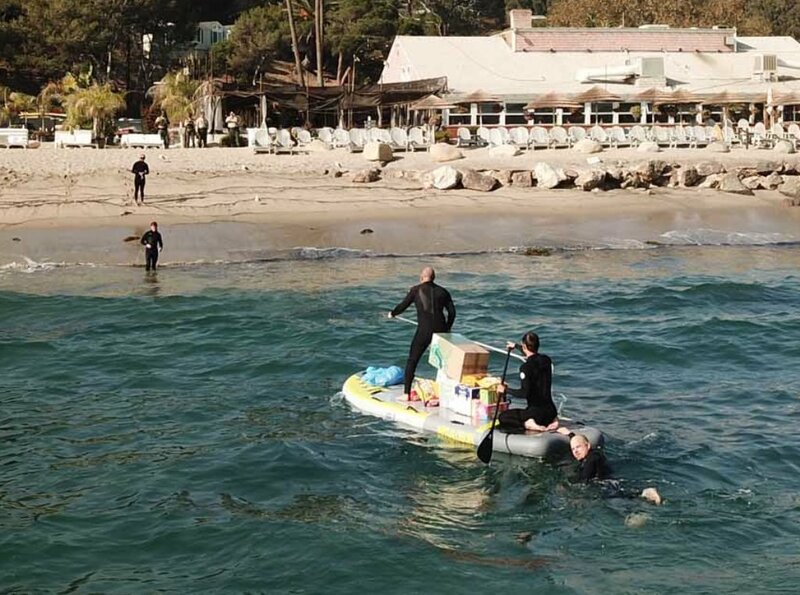 The SUPSquatch served as a barge for ferrying the donated goods to shore, where the paddlers were met by half a dozen locals who carried the goods up the beach to waiting trucks. Que Paso returned to King Harbor Sunday evening with the crew thinking, Mission Accomplished. Then they learned that Matt’s cousin Jamie Meistrell had posted a request for donations on his Instagram account. Jamie was also friends with Gamboa and a volunteer with THERASurf. Shortly after Jamie’s posts, cars were backed up on the street in front of Dive N’ Surf’s parking lot, where he had asked people to drop off their donations. Redondo resident Richard Dickert, a Fox 11 weatherman, and KTLA 5 assignment editor Vance Scott both aired stories about the boat operation. Romberg Milling, a feed store in Paramount, brought 100-pound bags of horse feed. Howling Hooves brought bales of hay. 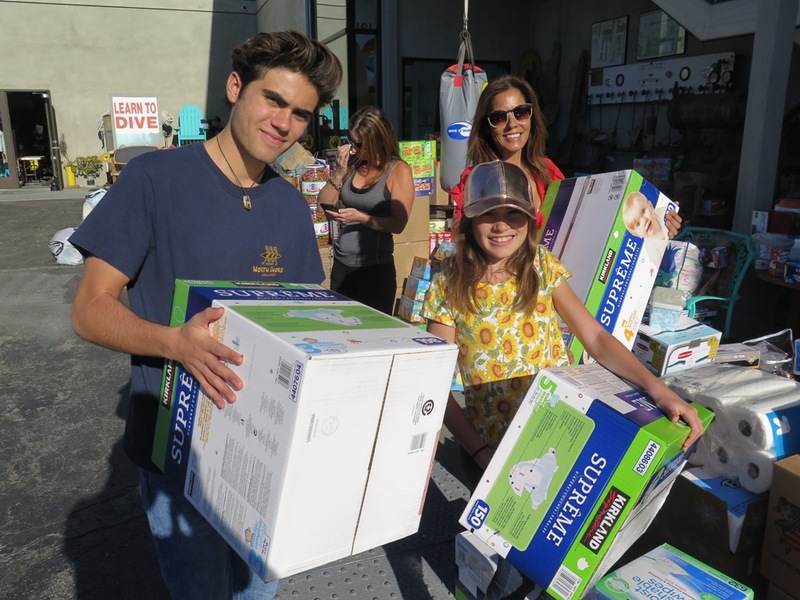 Heather Askinosie and her kids Orion and Sofia Rose brought an SUV full of baby diapers. 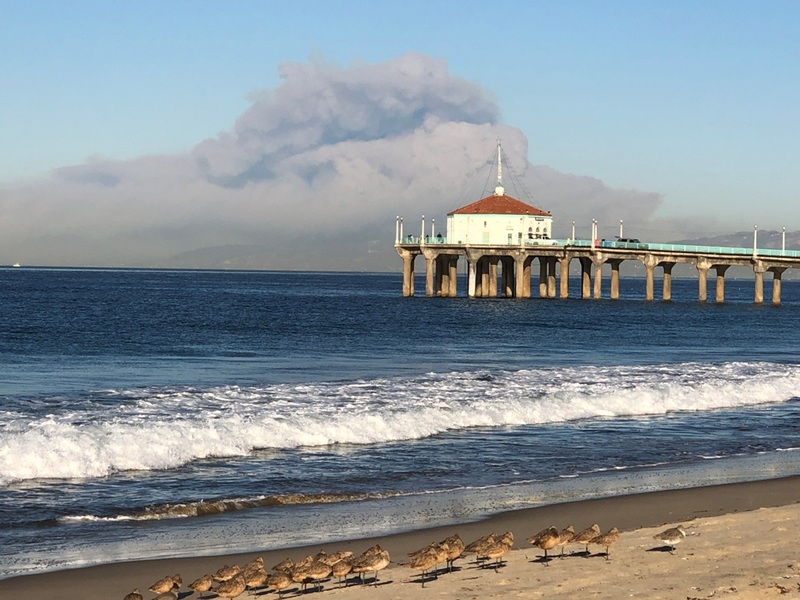 Hermosa Parks and Rec Commissioner Jani Lange reached out to his surf industry connections and collected sunscreen from Sun Bum, sunglasses from Electric, lifeguard hats from Hemlock and socks and underwear from Stance. Monday morning, Que Paso made a second run up the coast. But the load they took barely made a dent in the donations piling up in Dive N’ Surf’s parking lot. So Matt’s dad Randy volunteered the family’s 70-foot Disappearance for a trip Wednesday morning. Hopefully, after Wednesday, the fires will have been extinguished and it will be possible to truck in the remaining donations. Monday’s Que Paso trip proved more challenging than the first trip because the forecast of strong Santa Anas proved accurate. “The offshore winds were too strong for us to paddle the SUPSquatch ashore. 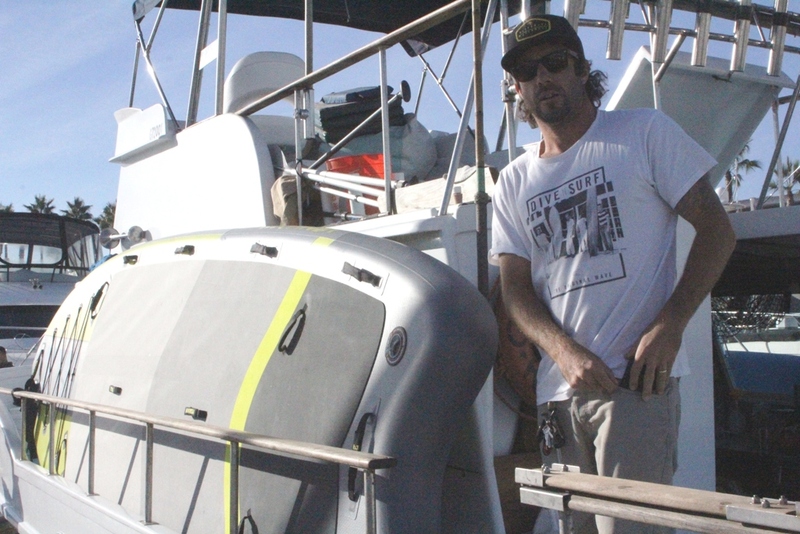 Fortunately Alex Gray [a professional big wave surfer from Palos Verdes] showed up on the PWC he uses for tow-in surfing, and towed the SUPSquatch back and forth between the boat and the beach. This time, instead of just a few locals, there were about 50 men and women who ‘pony expressed’ the donations up the beach to waiting trucks,” Harris said. 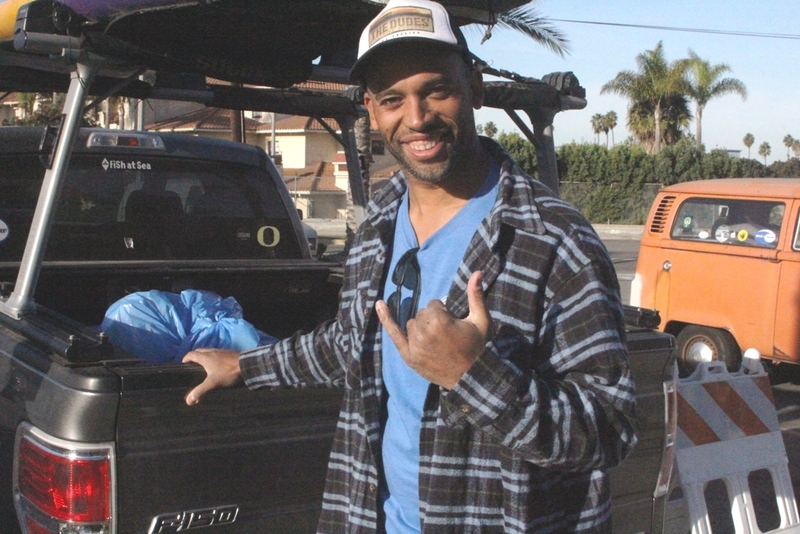 Among the helping locals was Harris’s friend Mitch Taylor, manager of the Malibu Becker Surf Shop. But Taylor wasn’t able to help for long. “His phone rang, and when he hung up, he said, ‘Gotta go fight a fire on Zumirez.’” Zumirez Drive is a small street above Paradise Cove where dozens of homes had burned over the weekend. Meistrell said one of the benefits of their Sunday and Monday runs was learning from the locals what they needed. “They don’t have gas stations or markets. So what they wanted most was gas and cold beer,” Meistrell said.